After the rush of sales and deals over the past few days, each one of us has the opportunity to make a difference by giving a bit that will last a lifetime. 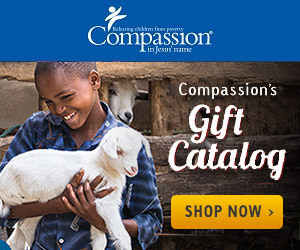 And this year, for Giving Tuesday, Compassion is looking to do something absolutely amazing! Children born into poverty have no guarantees of making it to their first birthday. And In India, nearly 1 in 3 newborn deaths occur in India. To help give new moms and their newborn babies a fighting chance, Compassion has a big goal on this Giving Tuesday! The goal? Raise $25,000 to open a new Child Survival Program in Gujarat, India. So what exactly is a Child Survival Program? Like the Child Development Program, the Child Survival Program (CSP) works through the local church with pregnant and new mothers to ensure they receive proper medical care, nutrition, training to care for their new babies, and sharing with them the hope of Jesus. This program is helping over 30,000 mothers and babies in over 700 centers. Babies are being born healthy because of this program, and over 4,000 mothers came to know Christ in the past year through the Child Survival Program! So what do you say? Can you give $5, $10, $25, or more to help build this new center in Gujarat, India? Let's help give babies a strong start on this Giving Tuesday!